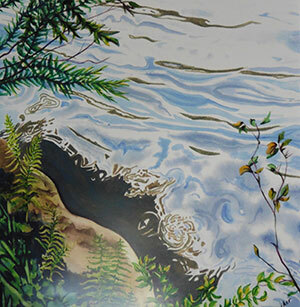 Workshop helps students paint all types of water images with success. Approaches to still, reflective bodies of water to rushing streams and crashing waves, plus more will be explored. Practice in class is included. Techniques apply to all types of art media. Supplies: Bring supplies needed to paint with your favorite medium. Can be watercolors, acrylics, oils, colored pencils, pastels, etc. If desired, you may bring reference photos of interesting sky and cloud images you want to practice with. Otherwise, instructor will provide the references. Details and online registration at artworks.berkeleyartswv.org/workshops/. For more information email berkeleyartswv@gmail.com or calll 304-620-7277.